Lin Chih-chu devoted his career to ni­honga, or Japanese-style painting, and came to be known as “the father of Taiwanese ni­honga.” Wu Zhuo­liu founded Taiwan Literature and Arts magazine and established the Wu Zhuo­liu Prize for Literature, an institution that is still encouraging the production of outstanding work today. 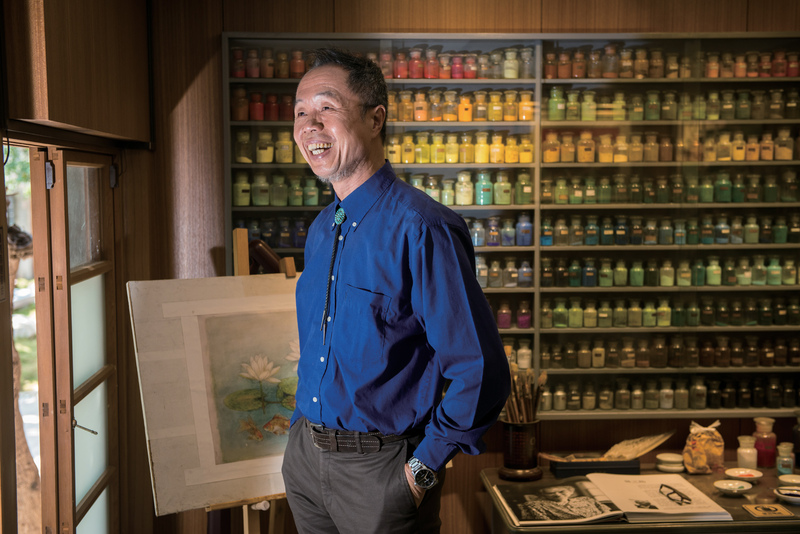 Watercolorist Xiao Ru­song guided countless students into the arts. Let’s take a peek at their lovely old homes, the lives they lived, the work they did, and the education they provided to others. 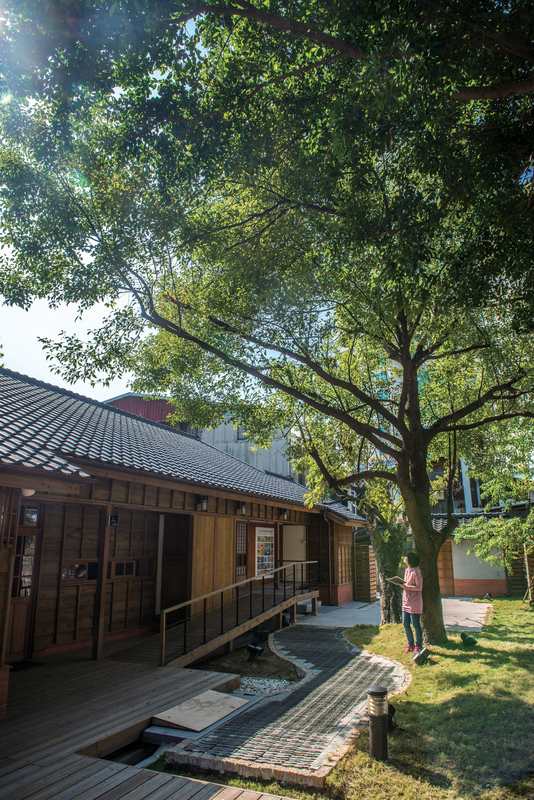 The old Japanese-style wooden home is lovely against its backdrop of bright, clear skies and brilliant green trees. It is an urban oasis, worlds away from the noise of the heavy traffic outside. 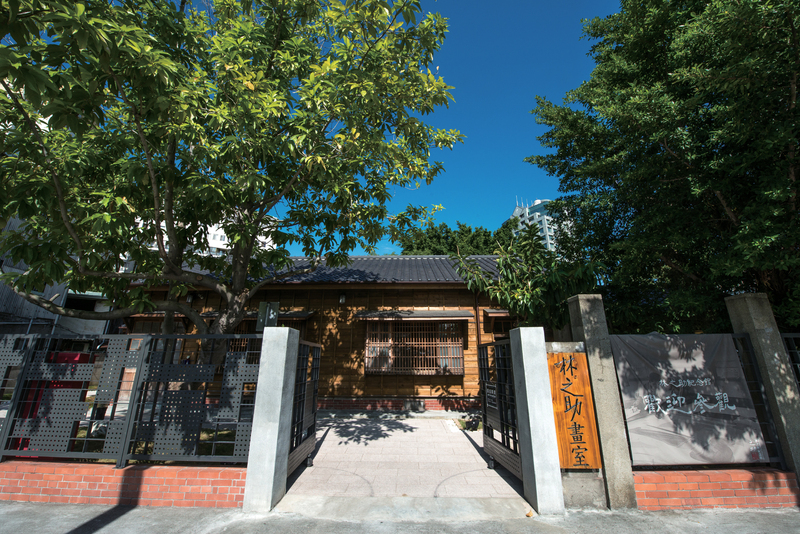 The home on the banks of Tai­chung’s Liu­chuan Creek used to belong to Lin Chih-chu (1917–2008), and now serves as a memorial to the man and his work. The son of a prominent Tai­chung family, Lin was sent to school in Japan at age 12, and went on to study art at what is now the Tokyo University of the Arts. His long career in the arts was punctuated by numerous awards from the Taiwanese and Japanese arts communities, beginning with the selection of his painting Morning Chill for Japan’s Imperial Art Exhibition when he was just 24 years old. When Lin returned to Taiwan after the war, he took a teaching position at the Taiwan Provincial Tai­chung Normal School and moved into the home the school provided on the banks of Liu­chuan Creek. There, he reshaped the living and work spaces inside the compound’s bamboo fence to his own taste, building a reflecting pool in the garden, allowing chickens and peacocks to roam the grounds, removing the traditional Japanese raised wooden floor, installing black floor tiles in a pattern like the character 回‬ (hui—“return”), and creating a pattern based on the letters of his surname on the ceiling. ­Hwang Wey-jeng, the memorial’s curator, says that every effort was made to preserve such details and incorporate symbols designed by Lin into the building’s restoration. For example, the figure on the main gate was based on Lin’s original ceiling design. Lin’s studio is one of the memorial’s high points. 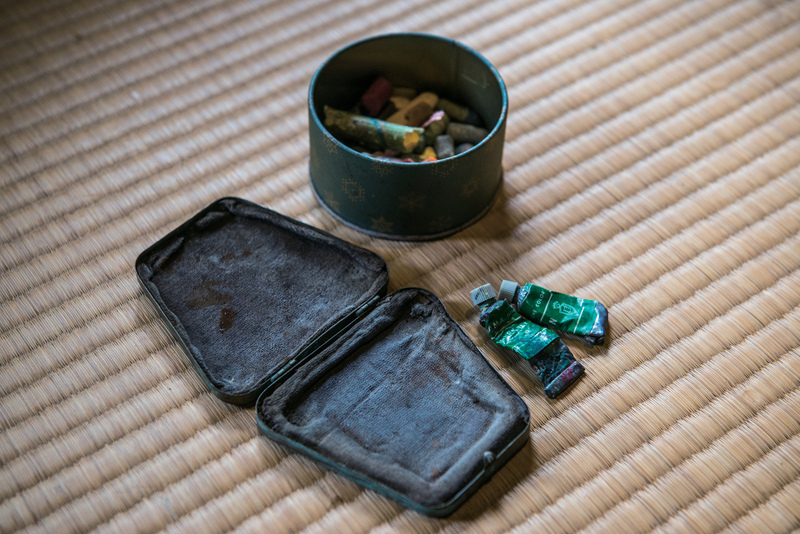 It includes an entire wall covered with jars of pigments arranged into rows by colors, as well as his pens and brushes, and the pot he used to heat the gums used in his preferred painting style. It even includes his last painting, mounted in a frame off to one side of the room. It is as if someone has turned back the clock, causing Lin’s old studio to reappear before our eyes in all its former glory. Reborn as an aesthetic hub, ­Hwang thinks that the old house is a public asset. In keeping with that thought and a desire to maintain Lin’s commitment to spreading the arts, the memorial does not charge for admission. 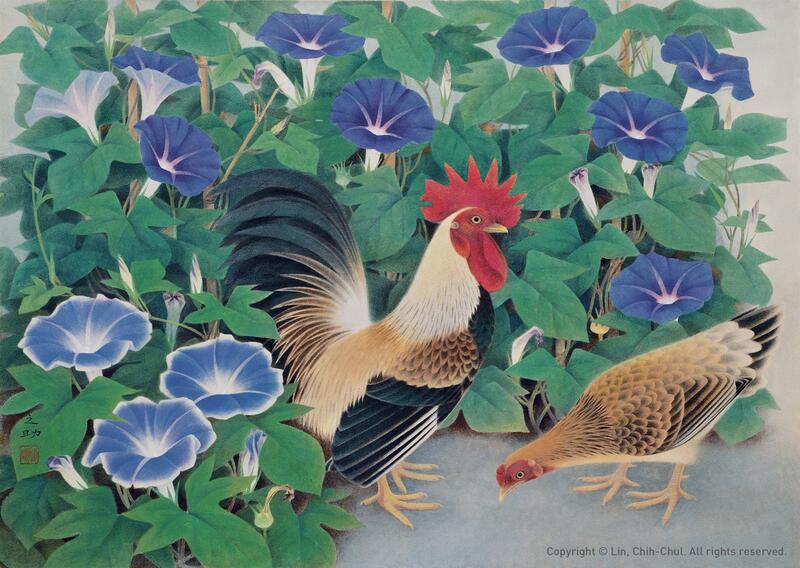 It serves its visual feast to all comers as if it were an art gallery, featuring such representative examples of Lin’s work as Morning Chill and Good Day, and also provides a platform for other artists to exhibit their work. The memorial occasionally arranges discussions on a variety of topics in the arts, and has even set Lin’s life story to pastoral music. It also encourages the use of every­day language when talking about culture and the arts. Moving forward, ­Hwang is hoping to link Tai­chung’s historic buildings, including the old city hall, Tai­chung Literary Park and other cultural destinations together into a string of “cultured” pearls. 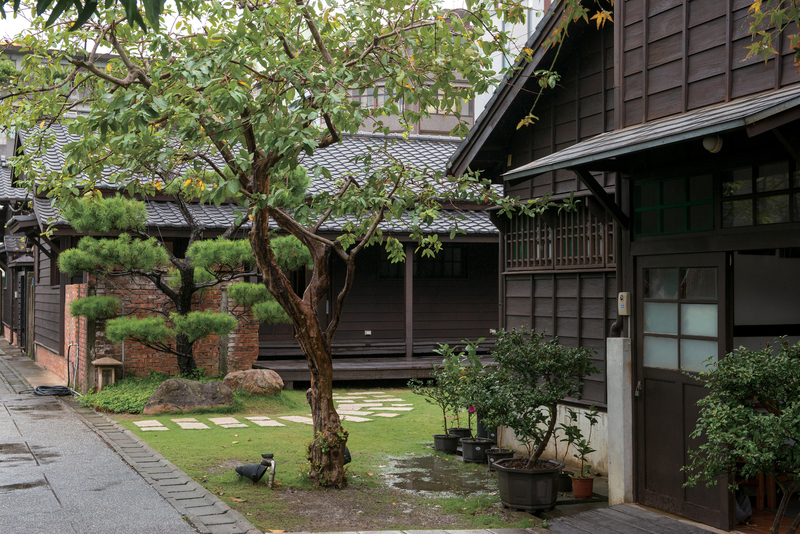 The old home of Wu Zhuo­liu (1900–1976) in Hsin­chu’s ­Xinpu Township is a san­he­yuan (a traditional home built around three sides of a courtyard) situated between blue skies and golden rice paddies. Known as the ­Zhide Tang, the home is also the site of the Wu family’s ancestral hall. 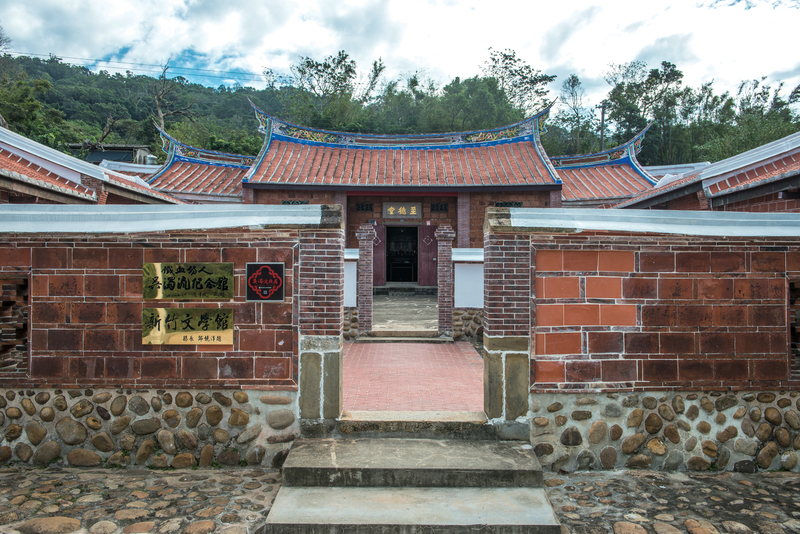 The old san­he­yuan has experienced numerous changes since it was first built in 1840, including several renovations prior to its 2009 restoration. Wu Zai­yao, a seventh-generation member of the Wu family and Wu Zhuo­liu’s great-nephew, currently manages the property. Zai­yao was unwilling to see the historically and culturally rich home fall into ruin and hoped to make the public more aware of his great-uncle’s literary contributions. 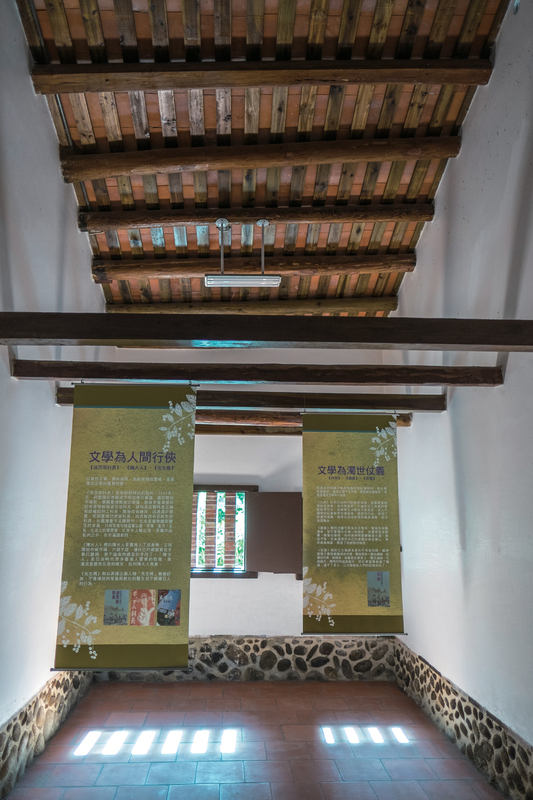 He therefore contacted other family members and, with the help of the Hsin­chu County Cultural Affairs Bureau, first arranged the building’s restoration and then opened it to the public in 2011. 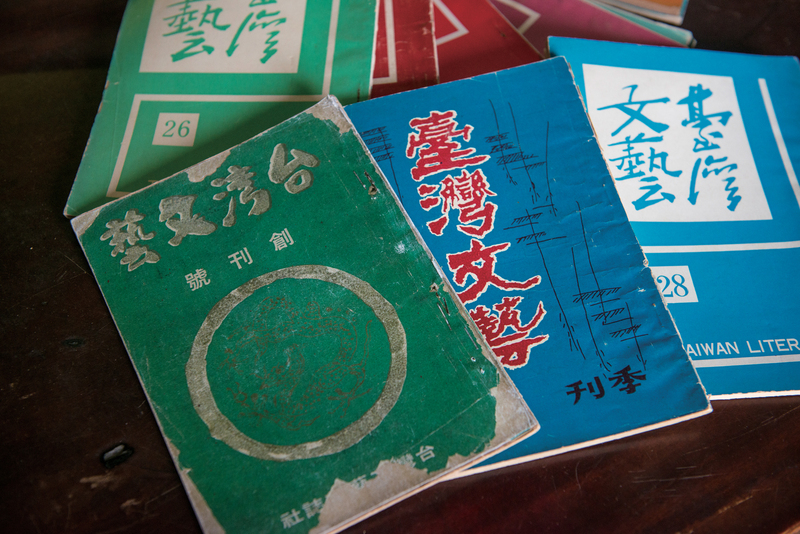 Wu Zhuo­liu built his literary foundations as a boy in the house. 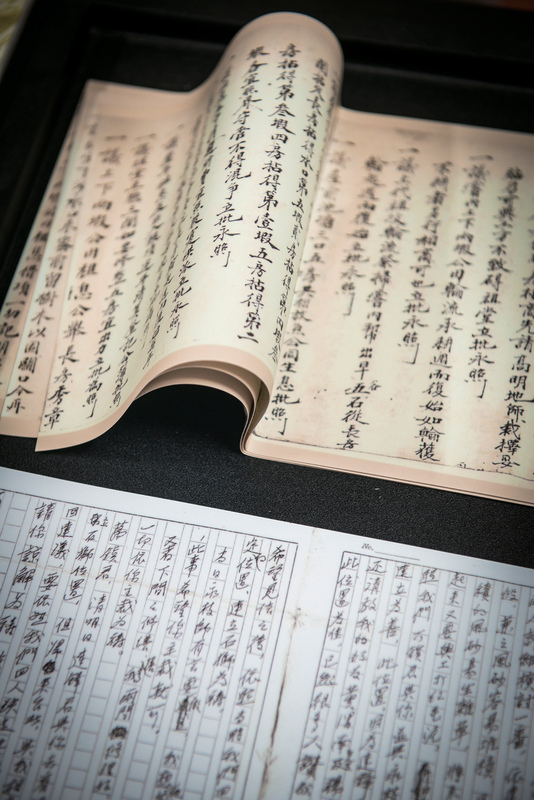 His literary awakening came early, inspired by a childhood spent living with his grandfather, poet Wu Fang­xin, in a small room at the front of one wing of the home. 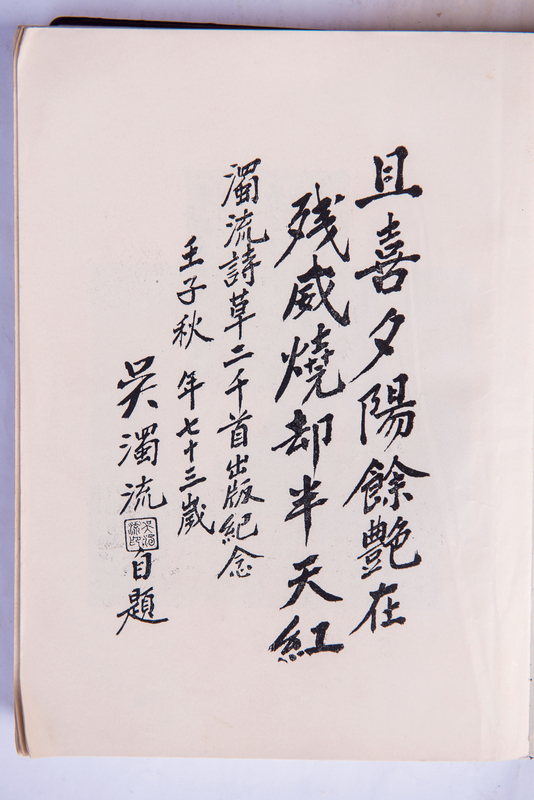 Wu Zai­yao says that his great-uncle’s poetry is “like a diary in verse,” filled with travels and visits with friends. Wu taught at several schools in Hsin­chu and ­Miaoli after graduating from normal school, and worked as a journalist in Nan­jing during World War II. He experienced the period of Japanese rule in Taiwan, the island’s return to Chinese rule, and the February 28 Incident, and produced numerous works of fiction informed by social realism and criticism. 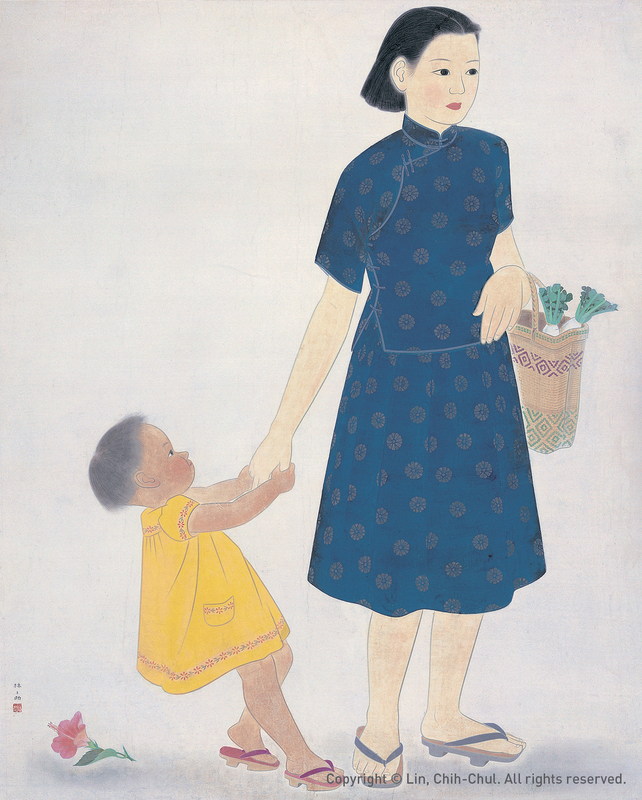 Works such as Orphan of Asia, The Fig Tree, and Taiwan Forsythia offer eyewitness accounts of Taiwan’s recent history and depict the sense of rootlessness that many Taiwanese had during that period. Wu founded Taiwan Literature and Arts magazine in 1964, and through it fostered the early development of many well known writers, including ­Chung Chao-­cheng, Qi­deng ­Sheng, and ­Huang Chun-ming. In 1969, he used his pension fund to establish the Wu Zhuo­liu Prize for Literature, an award that continues to provide encouragement to young Taiwanese writers today. 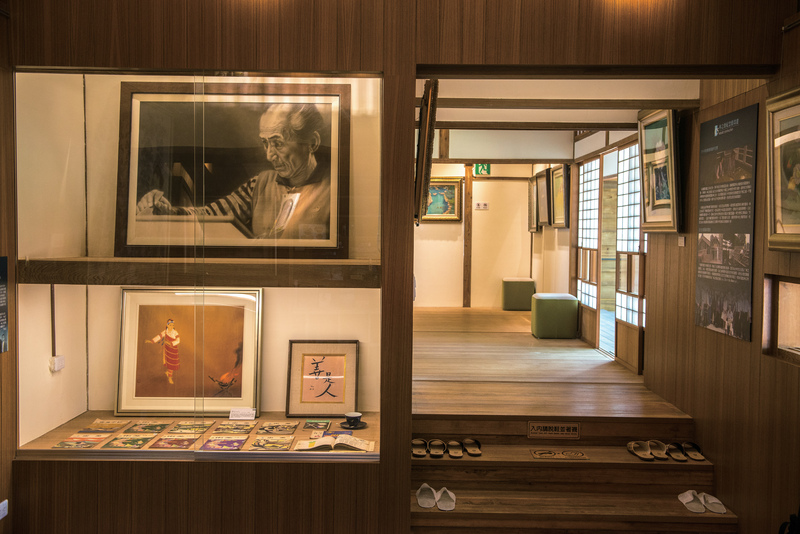 In 1976, Wu decided to turn the old family home into an archive for Taiwanese literature, with the idea that he would fill it with the work of Taiwanese writers. Wu Zai­yao still remembers his great-uncle happily describing plans to paint bookcases and fit them with glass doors, and to transform the space into a treasury of Taiwanese letters. Unfortunately, Wu Zhuo­liu passed away from an illness in October of that same year, long before the bookshelves could be filled. 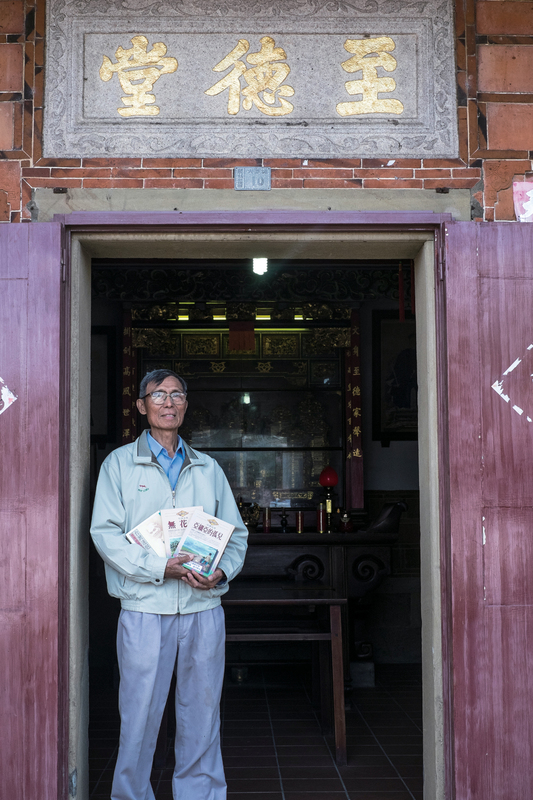 A similar passion for literature compels the 78-year-old Wu Zai­yao to continue overseeing the old home by himself and without pay. 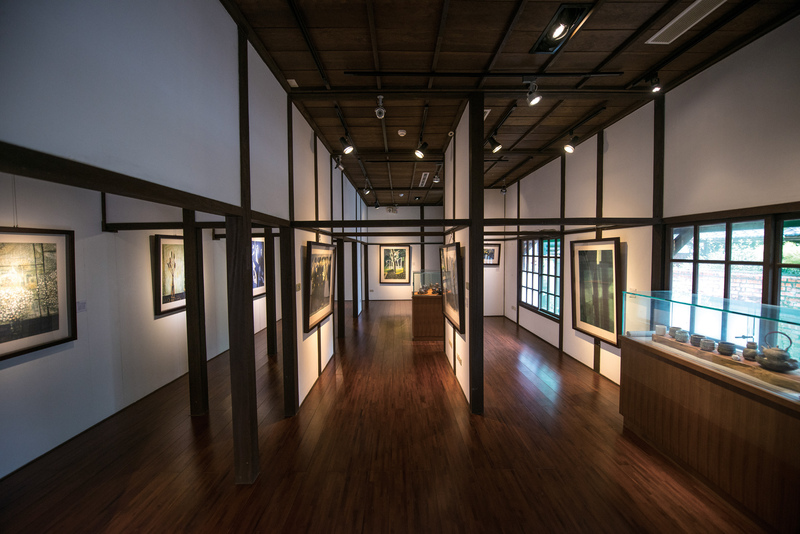 Nowadays, the residence holds regular exhibitions aimed at introducing the public to Wu Zhuo­liu’s life, displaying his work, and inviting visitors to read it. 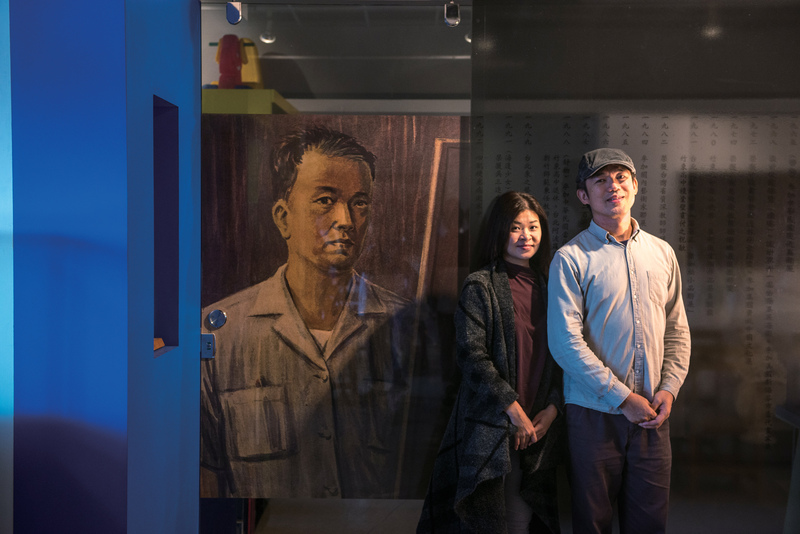 The Hsin­chu County Cultural Affairs Bureau established an exhibit on Taiwanese authors in the home in November 2016, furthering Wu Zhuo­liu’s lifelong mission. 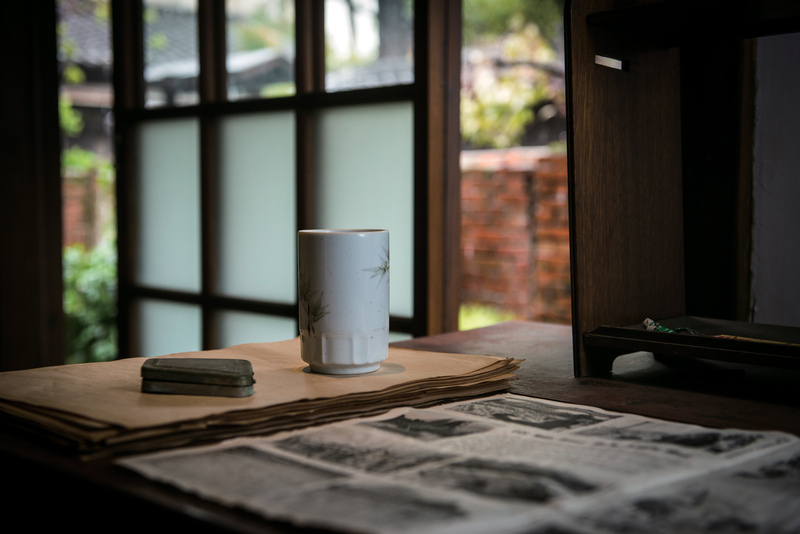 Wu Zaiyao has also extended an open invitation to individuals and institutions to organize activities at the home aimed at informing the public about his great-­uncle’s life and dedication to Taiwanese literature. 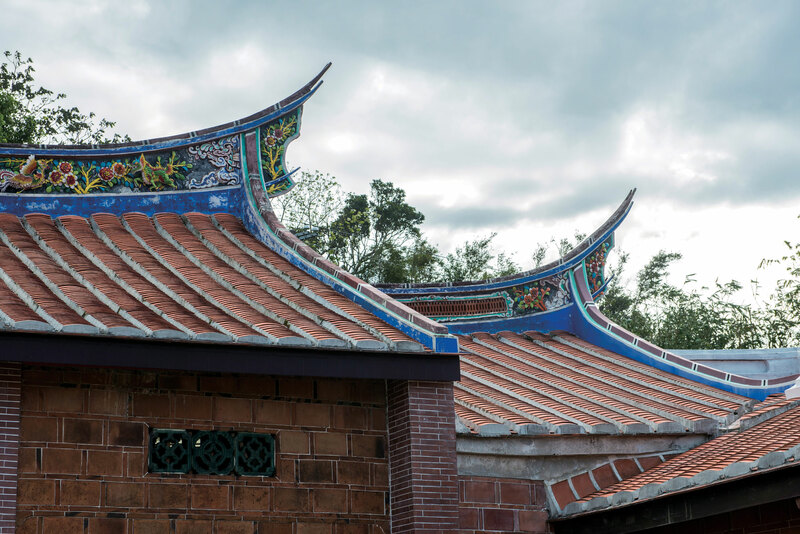 The Xiao Ru­song Art Park consists of five Japan­ese-style buildings located on a site of roughly 2000 square meters in Zhu­dong Township, Hsin­chu County. 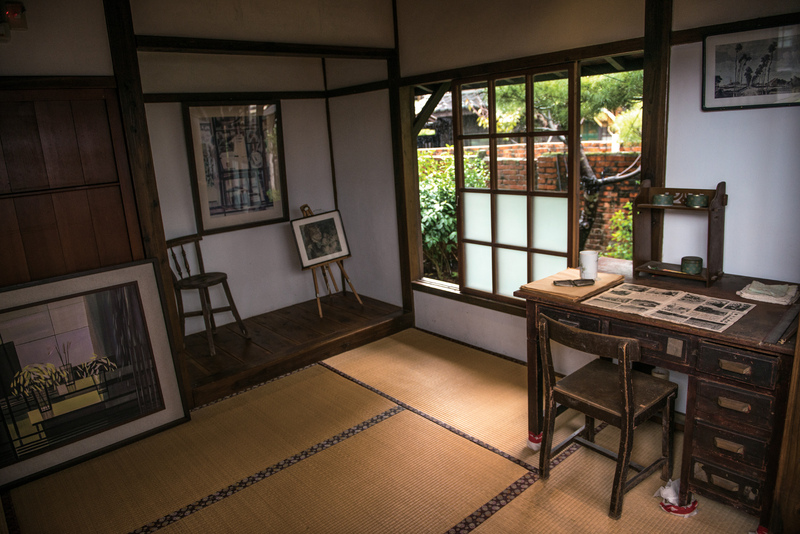 One of these five, the “Old Pine Residence,” is the former home of the watercolorist Xiao Ru­song (1922–1992). Xiao spent the majority of his life in the home, living there from 1946 until his death in 1992. It still retains the same simple furniture and overall look it had then, with details like tiny nubs of crayon on the desk providing visitors with a sense of his almost ascetic lifestyle. 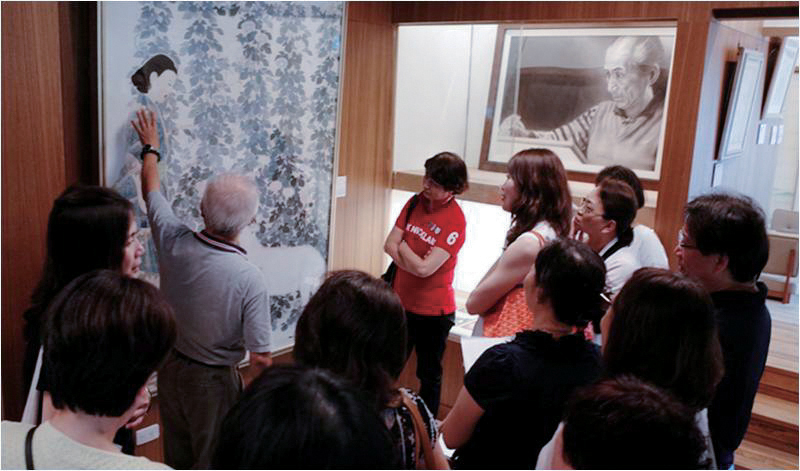 Xiao taught in and around Hsin­chu for more than 40 years, giving his life to painting and teaching the arts. Hardworking and conscientious, he rose at five o’clock in the morning, walked the same path to school, and always arrived on time at seven. People joked that he got the sun out of bed every morning. Xiao was also a stickler who helped his students form useful habits through demands that his classroom be kept neat and tidy, and that the papers, brushes and pigments on his own and his students’ desks be arranged just so. “Mr. Xiao didn’t just teach his students to paint; he taught them a way of life,” says ­Zhang Zhe­ping, a former student of Xiao’s who is himself a fine arts teacher at Zhu­dong Senior High School. In addition to being a strict teacher, Xiao was also a kind and compassionate father figure to his students and children in general. In fact, he built the eye-­catching outhouse that stands outside his wooden home with his own hands for children afraid to venture all the way to the public toilet at night. Never having studied abroad, Xiao taught himself, constantly studying the works of Impressionism, Fauv­ism, Cubism, and other Western styles, while also studying and practicing with calligraphers to gain better control over his brushes. Xiao’s integration of East and West gave his work a distinctive character. He used his command of light and color, images seen through glass, and geometric forms to depict realistic scenes and give his work a modern feel. The building next to Xiao’s Old Pine Residence now exhibits reproductions of his paintings. 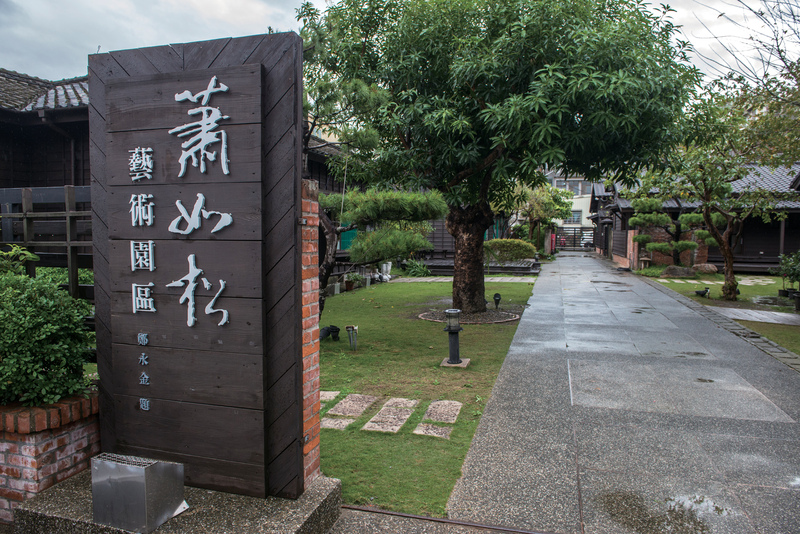 In addition to describing Xiao’s life and work, the park’s buildings also exhibit outstanding work by other Taiwanese artists, hold occasional arts-related events, and arrange DIY indigo dyeing activities. 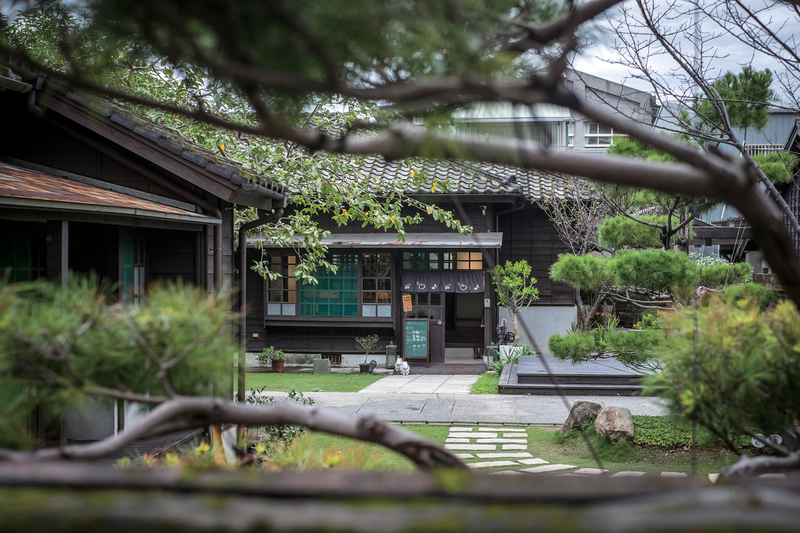 The building known as the “Pine Fragrance Hut” even serves carefully made meals amid pine trees and osmanthus flowers that add to the compound’s relaxing atmosphere. “We hope to manifest Xiao’s spirit in every part of the park and to bring it into our visitors’ lives,” says park manager Lü Xiang­mei. In the future, she hopes to develop the park further, hosting local cultural festivals and inviting writers and poets to read their work there to transform it into an aesthetic, literary and musical destination. By conserving and restoring these old homes, their managers are enabling the public to appreciate the precious gifts that they still have to offer. Tarry in one for a little while, sample its literary and artistic offerings, and introduce a bit of its elegance into your workaday life!